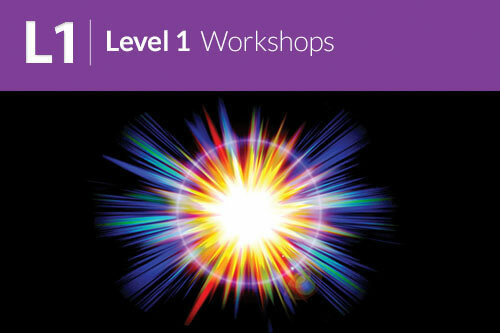 The Quantum Touch Level I workshop teaches you the major breakthrough in the art of hands-on healing. It empowers you to heal yourself and others. What you will learn Breathing and body awareness exercises to amplify life-force energy. Reduce pain and inflammation. Reduce or eliminate back aches. Learn to heal remotely. Amplified Resonance Techniques for more powerful healing. Learn to work with plants and animal. Before lunch break on the first day of a Quantum-Touch workshop, students learn that they can give magnificent sessions to one another. Ordinary people develop a real sense of confidence that they can truly help themselves and others, while experienced practitioners find that their skills significantly deepen to a higher level. You will also learn self healing as well remote healing. Using sound and toning to amplify the healing work. The bottom line is that our natural and innate potential to help others is simply extraordinary. This may be the easiest and most valuable skill you will ever learn. Quantum-Touch will powerfully enhance the effectiveness of all other hands-on therapies that you may use. "I have met many people, they can talk well but don't know much. You really know about energy." "Like the positive energy in the class. I am so glad I took this class." This is a fantastic opportunit to learn a healing skill that would improve the quality of your life. .
During the workshop you get to practice on each other, receive group healing from everyone in the workshop(including me) over the entire 2 days. Email me for the registration form and to let me know you can make it! Early registration(paid in advance 4 weeks or more in advance) $400.Otherwise it is $480. Payment For check payment please contact me for mailing address. Bank transfer or Credit card payments can be made via Paypal online at my website: http://www.reconnection.weiterk.com/Quantum_Touch.html.